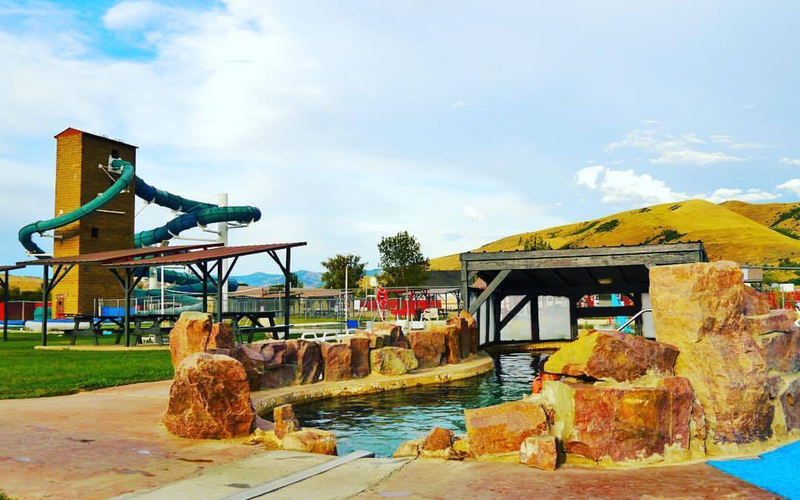 General Description: Riverdale Resort Hot Springs​ is a family destination geothermal playground located along the Bear River in the beautiful Riverdale Valley of Franklin County, Idaho. Riverdale boasts four hot springs pools and two hot spring mineral water slides. The resort a variety of overnight accommodations that include: hotel rooms, cabins, RV and tent sites. 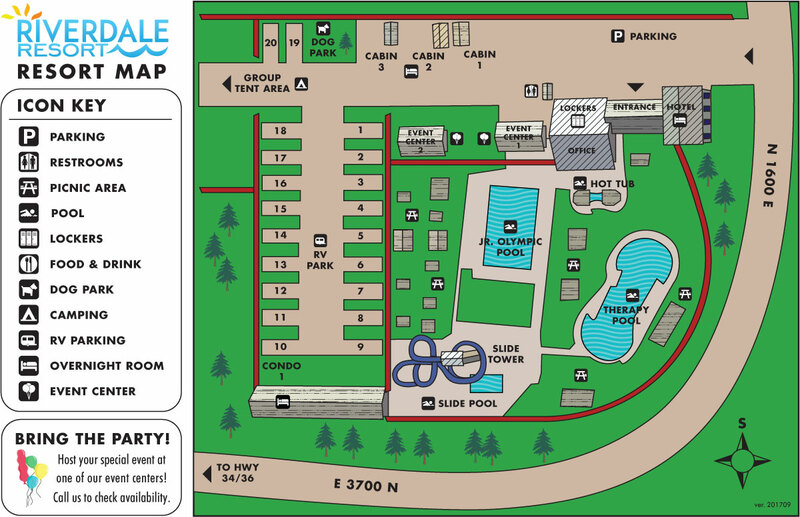 Accessibility: Riverdale Resort Hot Springs​ ​is very accessible. You can drive up to the property. The hot springs are a short and easy walk from the property. This hot springs has limited handicap accessibility. Hot Springs: ​Riverdale Resort Hot Springs boasts four hot springs pools and two hot spring mineral water slides. Two pools are offered in the winter season. The mineral water is treated. It is not all natural. The Therapy Hot Springs Pool is 85-90 degrees. The Hot Tub Hot Springs is 104 degrees. Clothing is not optional. Bring your bathing suit. Hot Spring Tips: ​Riverdale Resort Hot Springs offers day use for non guests. Hot spring access is included in guest accommodations. This resort offers a hotel and RV camping. There is no tent camping. Riverdale is pet friendly. The resort has a dog park. No dogs near park. Pools are drained and cleaned every week. Clothing is not optional. Bring your bathing suits. Youtube Video on Riverdale Resort Hot Springs is below.